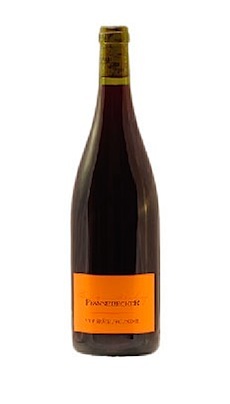 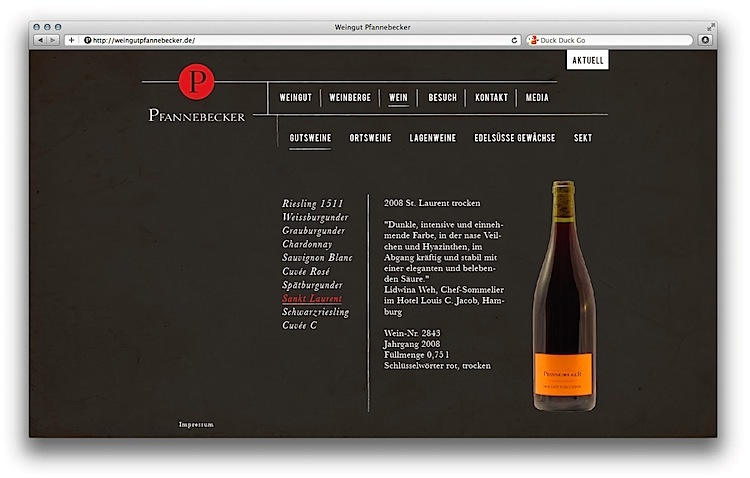 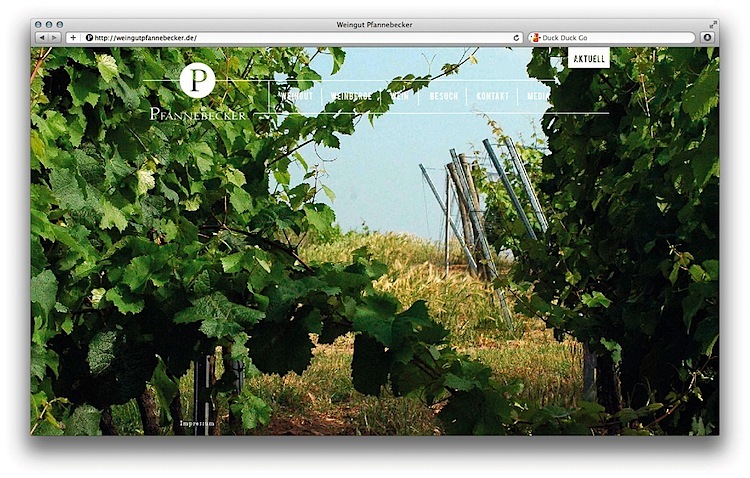 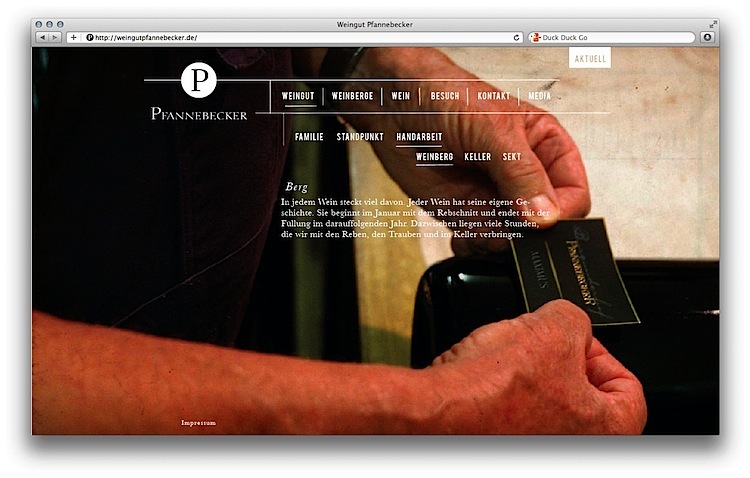 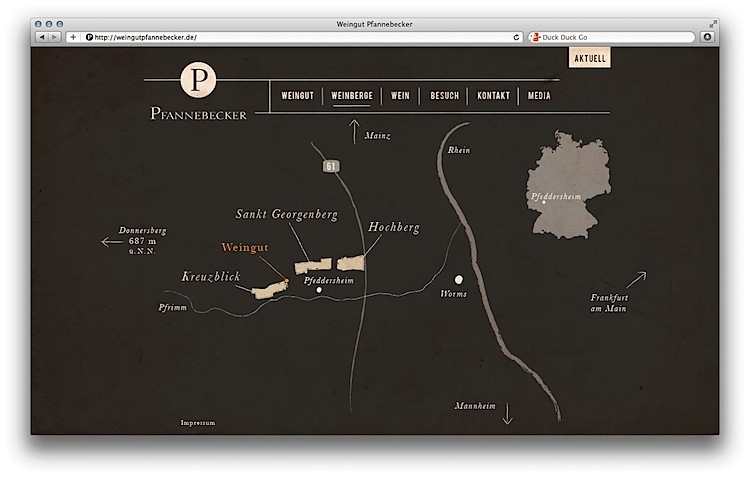 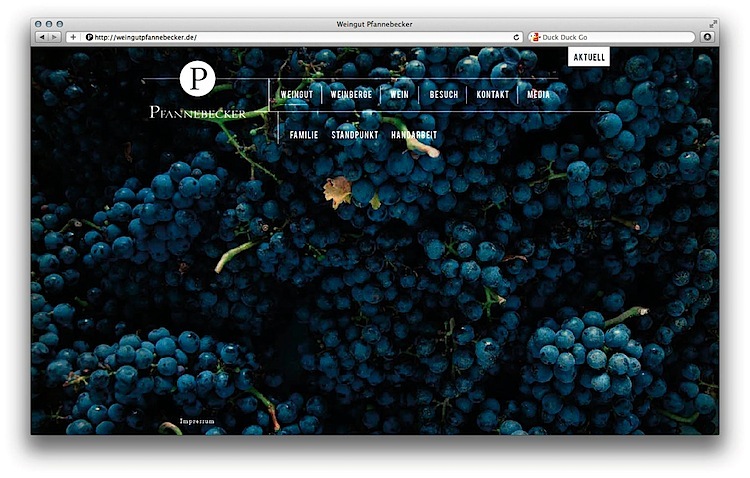 This is a website that we developed together with Till Ehrlich for the Pfannebecker winery. 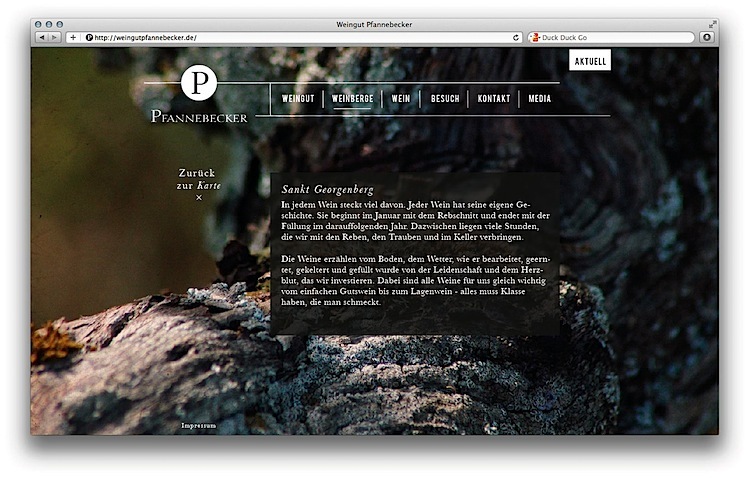 We designed the entire appearance of the site, Andre Pahl created a tailored, easy-to-use and maintain CMS. 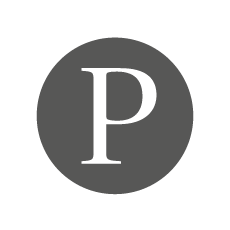 We’re honored to have had the opportunity to help a family business which currently spans over 3 generations and manages to stay faithful to their traditions, yet be absolutely current.